Bouge Blog: Baby it's cold outside. inter is truly a hateful time of year, at least in my opinion. I don't get along well with cold, and thus I tend to be less active and relegate myself to the confines of my small apartment. From time to time, however, one must endure the bone-chilling cold to get food, go to work, etc. So given this inevitability, mankind created the concept of hot chocolate. I loved hot chocolate when I was a kid. 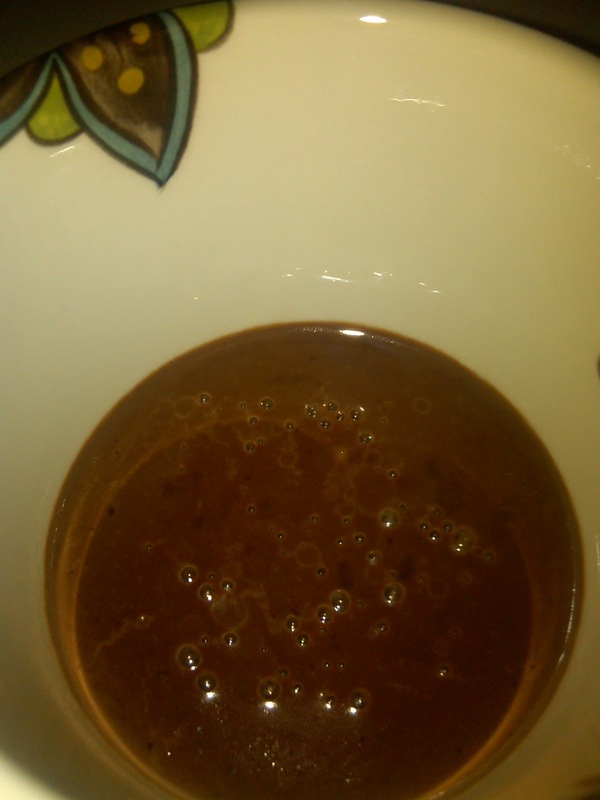 I think it was Carnation cocoa powder mixed with hot water. My grandmother even added marshmallows, which was really nice. But as I grew older, I became less and less excited about hot chocolate water, and eventually stopped drinking it altogether. 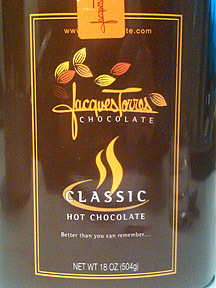 Then I found Jacques Torres - a New York City chocolatier who is helping to restore the meaning of what hot chocolate is all about: chocolate. Hot chocolate so rich you can only drink a quarter cup in a sitting. So thick that a skin forms on the top as it cools. It blew my mind. I saw the mix for it for sale, but I figured it wouldn't be the same as what I had experienced in the store. It wasn't until this year that I gave it a go. 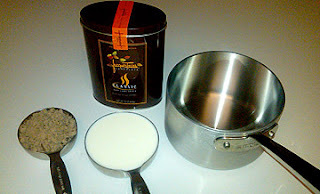 Following the instructions, you take a measure of milk (whole milk, people, whole milk) and add half as much chocolate mix. Heat it over the stove in a saucepan, stirring incessantly. In the last minute or so, you'll see the coarse chocolate nibs fade away and the mixture will thicken quickly. Pull it as soon as all the nibs are dissolved and serve in small cups - the kind used for espresso are perfect. Careful - it will be quite hot! Soak your saucepan immediately after pouring lest it get crusted with all that chocolatey goodness. Make it and you'll discover that my original hypothesis was wrong - it tastes exactly like what they serve in the store - it's absolutely perfect!